← GM Rice Scandal in Turkey from U.S. Imports Reaches International Proportions. Part 2 – Who is Behind the Scandal? 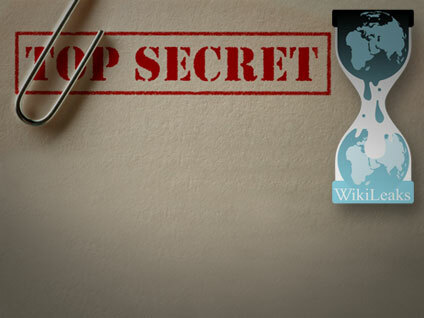 Previous attempts of U.S. Embassy Officials putting pressure on foreign governments, threatening retaliation and promoting GM products have been common knowledge since Wikileaks released several embassy cables regarding France, Spain, The Vatican and Ukraine. The Guardian reported in a January 3rd, 2011 article “In addition, the cables show U.S. diplomats working directly for GM companies such as Monsanto. […] The cables show that not only did the Spanish government ask the U.S. to keep pressure on Brussels, but that the US knew in advance how Spain would vote, even before the Spanish Biotech commission had reported”. Bu yazı English içinde yayınlandı ve ADM, Agriculture and Livestock Ministry, ANkara, Bayer, Bayer AG, Bt63, Bulgaria, Bunge Ltd., Clay Hamilton, contamination, Customs and Trade Ministry, EU, European Union, Food, France, Genetically modified rice, GM regulations, GM Rice, GMO, Greenpeace, Hayati Yazıcı, Istanbul Technical University, japan, labeling, LL601, Mehdi Eker, Monsanto, Philippines, rice, Russia, South Korea, Spain, the Vatican, Turkey, Turkish Biosafety Council, Turkish Biosafety Law, U.S. Embassy Ankara, U.S.A., Ukraine, US-EU, Wikileaks, World Trade Organization, zero tolerance, İTÜ olarak etiketlendi. Kalıcı bağlantıyı yer imlerinize ekleyin. Startling news. GM rice was considered not on the horizon/ But that is apparently not the case. Great reporting. What the f— ?!? Genetically engineered pflantz are not as bad as butter?!? Are you going to start recommending Agent Orange as butter alternative?